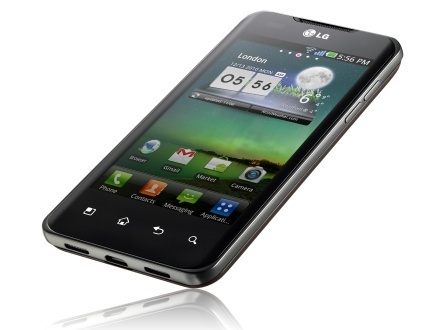 LG has officially announced the existence of the LG Optimus 2x. Why is this relevant and not just another smartphone? Well it’s because the Optimus 2x is world’s first dual core smartphone. This is by far the fastest and most powerful smartphone to date. 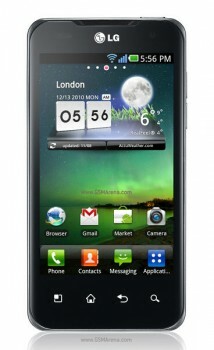 LG’s Optimus 2x is packing a 1GHz dual core Nvidia Tegra 2 processor. It’s the first such device to use Nvidia’s new Tegra 2 chip and the first dual core GSM phone. Early benchmarks show that the once rumored LG Star, now officially the Optimus 2x, is by far and away the fastest phone on the market. It clearly out performs the new Nexus S in all tests. The Tegra 2 chip apparently handles full 1080p HD video without a hitch, which is nice cause the Optimus 2x has a HDMI out connection. The full 1080p HDMI out is another first for the LG Optimus 2x, due to the fact that most other phones top out at 720p. So you gotta figure if it can handle 1080p playback, what’s stopping it from recording in full 1080p HD? Nothing, the Optimus 2x has a 8 megapixel rear camera and 1.3 megapixel front camera. The rear 8 megapixel camera records beautifully in full 1080p MPEG-4/H.264. The Optimus 2x should be available in early 2011, but rumors today say it could start shipping in late February or early March. It’s also rumored that it will coming to T-Mobile USA shortly after it’s initially launched. That initial launch will obviously take place in Korea sometime next month. For the full press release head over to LG Newsroom.